As happy as I am with the new site layout it’s still very much a work in progress. 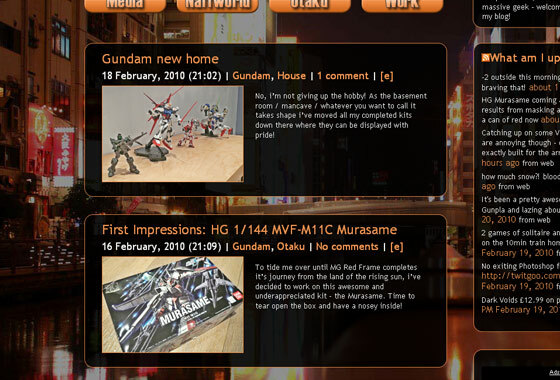 Over the weekend i’ve had a play with the excerpt function to create thumbnails for each post, allowing me to fit much more on the front page and hopefully make it a bit easier on the eye. Feedback as always is welcome! The next step is to fix the site for Internet Explorer, in which it is still horribly broken..
What do you think of the layout change?